So I have started something totally new, and while it's not a "big" thing, it's still pretty big to me. I have created a new website to promote my new career as a (drum roll, please!) homeschool consultant! Since I have about 15 years of experience with this whole homeschooling thing, and I have a real desire to encourage my fellow homeschooling mothers, and most importantly I strive to follow the Lord's leading in all areas of my life - well, this was the next step for me. It's a small start, but it is a start, and I'm happy to begin this new thing God has led me to. Let me know what you think; I'd love to hear what you have to say! Lord bless you as you the life All Things Homeschool!! In the local public schools, April is the month of "testing, testing, testing". The entire year's work is condensed into a couple of weeks worth of assessments. 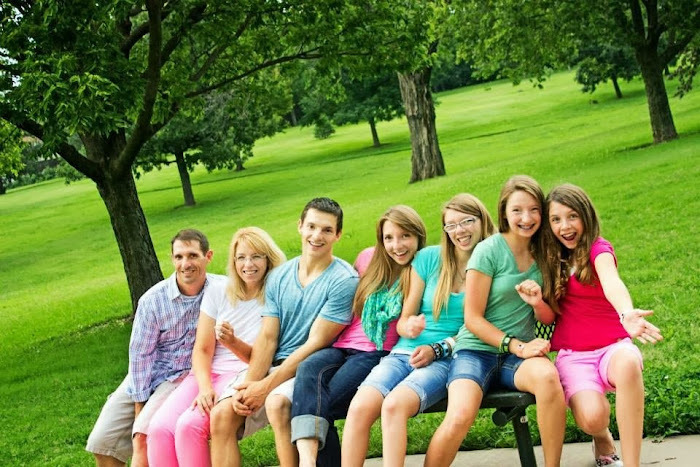 Is there anything homeschoolers can learn from this annual occurance in the public school system? Amazing Science! (Volume 1) is a DVD containing 23 experiments the teach fundamental principles of science in a fun and easy-to-do manner. While using Amazing Science! you will learn abut electricity, magnetism, heat, temperature, pressure, surface tension, buoyancy and a whole lot more. Every experiment is explained step-by step, and a complete materials list is provided so you can do the experiments right at home. If you follow my blog, you may have read a couple of my posts titled "A Homeschool Mom's Devotional #1 & #2". That was the beginning of a new project, and I'm now ready to jump in feet first and put some hard work into said project. So my not-so-big announcement is...I am writing my second book. 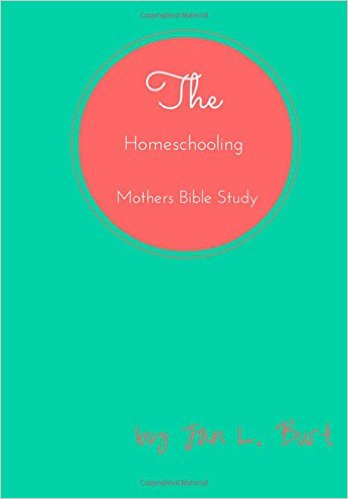 My first book was a 6-week Bible study for homeschooling mothers, available as an e-book or in print edition. This book will be a devotional for women who homeschool, and I hope to make it available in print and for the Kindle. Classical Academic Press has created a top-notch Bible resource called "God's Great Covenant". There are both Old and New Testament components available, and I was blessed to receive the New Testament 1 set to review. If I were to give a one-word review of God's Great Covenant, it would simply be W-O-W!! I absolutely love this curriculum! And my 6th grade daughter absolutely loves it, too. It's good stuff. Strike that; it's fantastic stuff. If you are not a math person, or you feel a little intimidated about teaching higher math as a homeschooler, then Looking at Lines (Algebraic Thinking Series, AIMS Education Foundation) could be just the resource you need. I'm not exactly a math person, and not all of my kids are math people. In addition to that, my kids have unique learning styles, and I have my own teaching style. Mix all those ingredients together and you end up with a recipe for math that is, at times, less than tasty. Sometimes the solution is as simple as trying something new - and the new thing I was able to try was Looking at Lines. As a mother who has been homeschooling for 14 years, I have learned a thing or two about avoiding burnout...and most of the time, I apply what I have learned BEFORE burnout sets in! We cook, we clean, we teach, we shuttle kids from point A to point B and back again, some of us help out at church, some of us keep a weblog, and don't forget about the spouse. S-I-G-H...we can find ourselves feeling overwhelmed and headed for burnout just looking at the calendar. It's best to plan ahead to try and offset burnout, and sometimes it's best to simply admit we're in a season of "burnout" because the Lord may be using it to allow Him to do some pruning in our lives. The publishers of WORLD Magazine and God's World News have created a terrific new writing program called Write With WORLD. This curriculum is primarily aimed at 6th-9th grade students, comes with a Parent/Teacher book and a Student book, and can be used with God's World Publications magazines (but the use of WORLD or God's World News is not required). The introduction in the Parent/Teacher book says, "Write With WORLD aims to produce young writers who love writing, can write effectively, and intelligently share ideas, beliefs, and their worldview." Without gushing and ooh-ing and ahh-ing too much, I can tell you that Write With WORLD does exactly what it sets out to do. Easter Sunday truly is the most important holiday on the Christian calendar. This is the "big day" each year for followers of the Lord Jesus Christ. No other day can compare. What makes it so important has nothing to do with the trappings of the westernized version of this day. Not a large bunny delivering candy to children, of course; but also not new clothes, family dinners, flowers or anything else. It's not even simply about attending a church service (although I believe the gathering of the saints together is extremely important for every believer). This day is all about the Resurrection, because without the Resurrection of Jesus we would have no hope, no assurance, no future in heaven with Him. Everything we do to celebrate Easter ought to point us toward Jesus and His Resurrection; we live because He lives. The tomb is empty. He is risen indeed! When given the option of choosing which of the nine available history guides I wanted to use for this review, I was beyond excited! 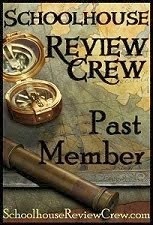 Reviewing a terrific history product from a fabulous company like TruthQuest was pretty terrific; add to that terrific-ness the fact that I got to pick which era in history I wanted to use was the icing on the cake! After much deliberation, I chose TruthQuest History's guide to the Renaissance/Reformation/Exploration (1400-1600) . And for our family's little homeschool, I think it was the perfect choice! Let me tell you a little bit about TruthQuest History - how the program works, what makes it unique, etc. Max Lucado does it again. He's a down-to-earth guy who writes up-toward-heaven books, and Great Day Every Day is no exception. Easy to read, a source of Biblical encouragement, and worth the time spent reading it and the money spent to buy it. Like most modern day American Christians, I have a few Max Lucado books upon my shelves. So it wasn't hard for me to be excited about reading one of his books for this BookSneeze review. But as much as I anticipated enjoying the book, I wasn't prepared for the way it would bless me as I think about the way I live every single day of my life. Not only is it an encouraging book, but it can be a life changing book if the reader applies what Max is teaching them. On my 'Page Turner Scale' of 1 to 5, I am giving this book a 5. Buy it. Read it. Enjoy a great day every day!